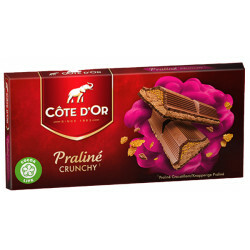 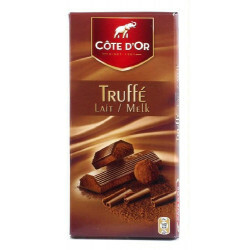 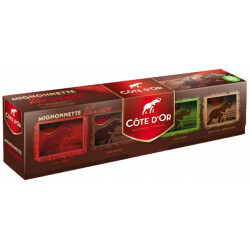 Cote d'Or Praliné CRUNCHY 2X190g - delivery worldwide - discount following quantities purchased. 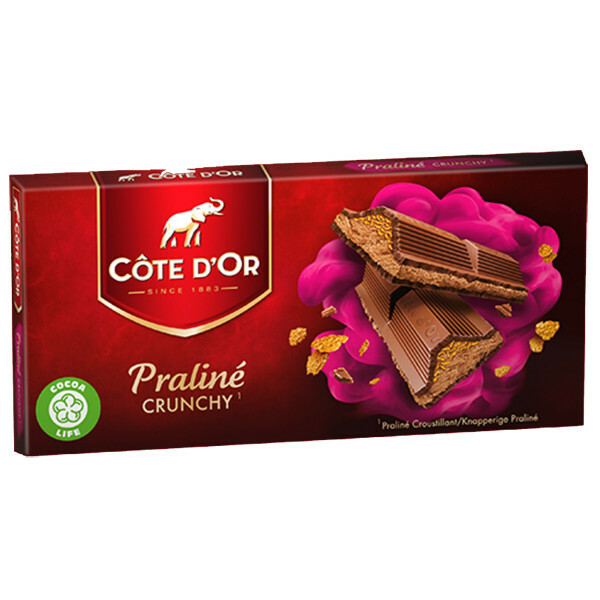 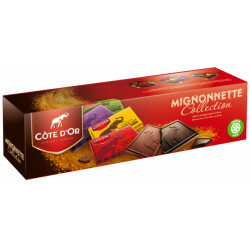 A series of unique sensations combining the intensity of the Côte d'Or chocolate, the fondant of praliné and the light crunch of delicious biscuit flakes. 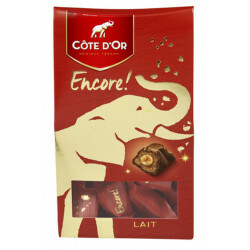 To eat without waiting! 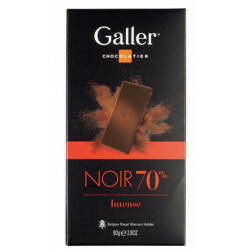 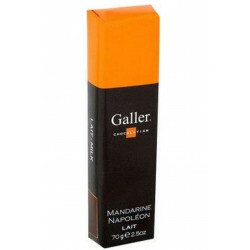 Chocolate with milk (42%) with praline hazelnuts, almonds, cashew nuts and small pieces of biscuit (6%). 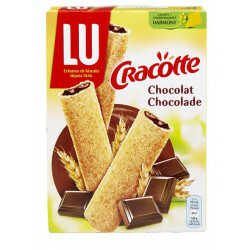 Ingredients: Sugar, praline 21% (sugar, HAZELNUTS, ALMONDS, CAJOU NUTS), whole milk powder, cocoa paste, cocoa butter, vegetable fats (palm, palm kernel, shea butter), whey powder Wheat flour, concentrated bUTTER, emulsifiers (SOJA lecithin, sunflower lecithin), lactose (LAIT), LAIT protein, BARLEY malt meal, salt, baking powder Skim, aroma. 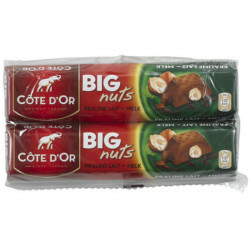 MAY CONTAIN EGG, OTHER SHELLFISH AND PEANUT.